This small baler with its solid steel construction and unique drive mechanism is suited to small commercial and retail outlets where space is a premium and there is a small volume of waste being generated. fits neatly into any confined working area, making it the ideal machine for small commercial and retail outlets. 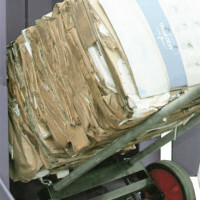 The wide loading aperture, fast cycle time and high compaction ratio, produces dense bales of cardboard and plastic. Bales weighing up to 60 kg (depending on materials used) can then be easily handled for disposal / recycling. This model can be sited inside or outside if situated under a suitable cover. 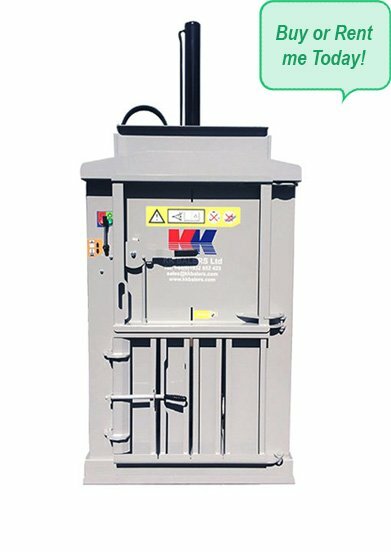 The KK Mini Baler can be purchased or hired on variable terms. Please contact us for further details. 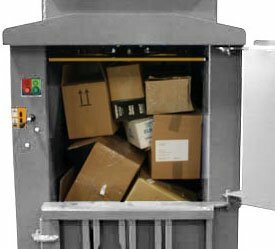 Waterproof hood, Bale trolley, Metal platform (for can crushing).